Using a spinoff from its successful small business program, JAX Bridges, the JAX Chamber has completed its first pilot of The Venture Leadership Program. Watch short segment on This Week in Jacksonville (WJXT) for program details (advance to 19 min mark). If you have questions contact Ashlea Justice at 904-366-6623. (SignUp for updates here). Jacksonville, Florida (February 16, 2017) – Amelia Toffee Company has expanded its product line to enter the convenience store market. The artisan toffee company is now selling three newly-developed products at 26 GATE retail stores: Southern Heat Peanut Toffee, Bold Brew Peanut Toffee and Salty Bean Coffee Toffee. Amelia Toffee continues to offer a separate line of innovative artisan toffees at select Northeast Florida locations including the Ritz-Carlton and Omni hotels. All of its toffee products are hand-made locally at the company’s commercial kitchen in Jacksonville’s San Marco neighborhood. Anita Comisky, who founded Amelia Toffee in 2015, credits the JAX Bridges program for gaining the attention of GATE Petroleum Company’s President, John Peyton. A program of the JAX Chamber Entrepreneurial Growth Division, JAX Bridges provides education and connects small and medium-sized companies with opportunities to do business with larger corporations. Three-ounce kraft window packages of Amelia Toffee are priced at $4.99 in most GATE stores. The JAX Chamber Foundation will launch a new program in January (2017). The Venture Leadership program is constructed to develop leaders in various sized ventures. It is focused on teaching participants how to lead with an entrepreneurial spirit in a business venture. Participants will attend six three-hour sessions over a four month period. The program launches January 26 at the JAX Chamber. Expectations: Hands-on exercises, case studies, speakers, & entrepreneurial tools. Facilitators: Ellen Sullivan, Ashlea Justice, & Carlton Robinson. The key value proposition for the JAX Bridges program is relationship access. At the JAX Chamber we are able to provide this value to entrepreneurs by giving them business-to-business access, business-to-customer access, and/or marketing exposure. Below is one example of the type of marketing exposure that Ashlea Justice is providing for our entrepreneurs. The #OneWeekPitchChallenge led by Ashlea Justice is working for participants. Our value proposition is that we leverage "relationship access" at the JAX Chamber to create exposure opportunities for the small business community. 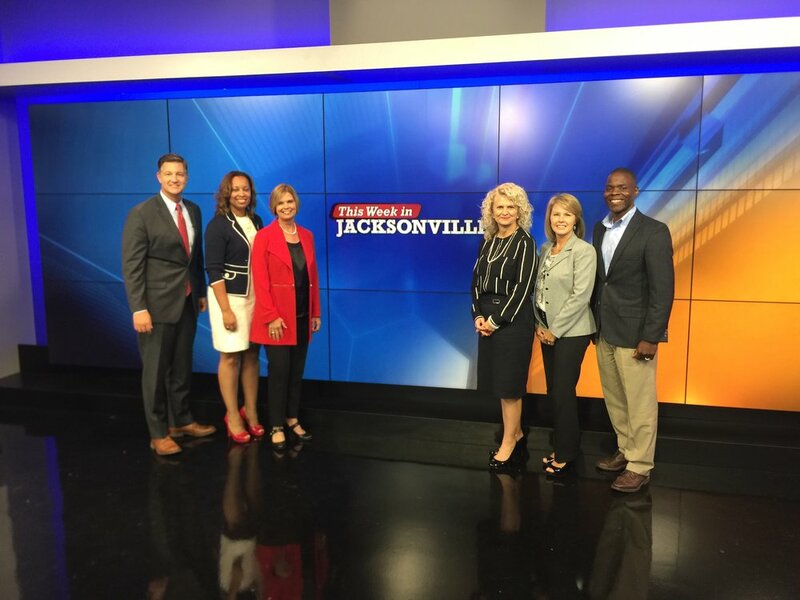 Through our innovative pitch contest we were able to get exposure for our small business participants to the large viewership of WJXT-The Local Station. With two more chances to pitch at the JAX Chamber in 2016 we are looking forward to creating more opportunities for entrepreneurs throughout Northeast Florida. Contact Ashlea Justice for details: 904-366-6623. We started with 30 participants and 11 finalists emerged: Anita Comisky, Amy Hales, Eunice Mathis, Helga Langthon, Jeremy Crosier, Juaacklyn Stevenson, Jumora Cooper, Mark Moran, Shevonica Howell, Susan Appleton, and Theowana Jeffers. JAX Chamber entrepreneurs and volunteers rally to promote the entrepreneurial spirit in Northeast Florida with a new twist to preparation, pitching, and mentorship. Watch Rhonda Ryan and Sara Slettebo discuss their JAX Bridges experience as finalist at the May 18th Bridge2Business Event. Bridge2Business participants leverage the opportunity to learn how to do business in London with London & Partners Pru Ashby. JAX Bridges Community Outreach Success: B.E.E.M. The JAX Chamber's Entrepreneurial Growth Division continues its push to promote and support small business & entrepreneurship throughout the Jacksonville region.